"The Process" is a series that for me has been a long time coming. I wanted to create something that would teach not only the specifics of how to train, but also the values and approach necessary to get the most out of our climbing. As the concentration of indoor climbing walls increases, as does the number of climbers. The average level of strength of the modern day climber is so much higher than it ever has been before thanks to climbing walls, however there is a definite lack of transfer when it comes to the level they climb on rock comparatively. For a long time I have watched from the side lines as the training fads of the indoor climbing wall scene eclipse that of the aspect to simply become "better climbers". For me, climbing is all about learning, adapting and connecting with the climb - this series is an attempt to understand the process of seeing our potential. "The Process" is the means to get stronger, "The Process" is the means to get fitter, but unequivocally "The Process" is the means to get better! In Episode 4 I hope to bring to light the concept of that very misunderstood area of climbing performance known as Power Endurance. What is that feeling of a sudden loss of power, how do we maintain the intensity for longer, what is the best way to train it? This is just an introduction and what I hope can be a foundation from which to build on in future episodes, a better more structured approach to this aspect of your climbing training. 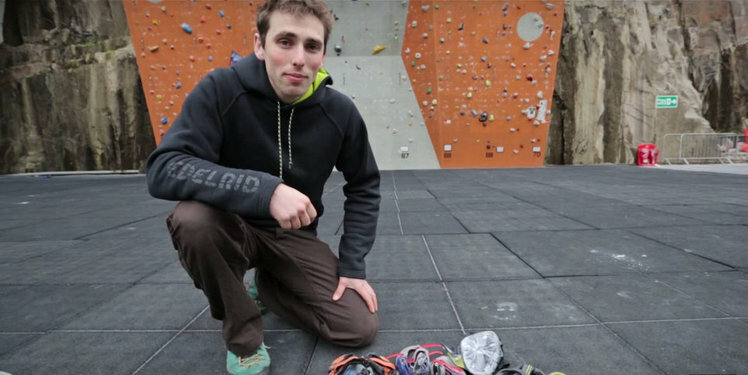 Read the accompanying article for this fourth episode on Edelrid's website here. Robbie is sponsored by: Edelrid, Evolv, Ratho - EICA, Steedman Accountants and Edinburgh Carpet and Flooring Warehouse. He is an ambassador for Urban Uprising.